Use of ride-sharing services such as Uber has prompted a drop in drunk-driving accidents in some American cities, a new report suggests. But access to smartphone-connected drivers doesn't uniformly slash booze-related crashes, researchers found. "Uber seems to affect crashes differently in different cities," said study author Christopher Morrison. Those differences may depend on specific local characteristics like public transportation, he and his colleagues reported. To see whether the on-demand car services affect drunk-driving collision rates, Morrison's team looked at car crash histories and Uber availability between 2013 and 2016 in four cities: Reno and Las Vegas, Nev.; Portland, Ore.; and San Antonio, Texas. Uber is the largest ride-sharing business. "Alcohol-involved crashes were reduced by about 60 percent in Portland, Oregon, but not at all in Reno, Nevada," said Morrison, a postdoctoral fellow at the University of Pennsylvania's Injury Science Center. "The surprise was that even where there is a reduction in alcohol-involved crashes, we did not detect any reduction in crashes overall." Why that's so isn't clear, Morrison said. "There could be something offsetting the reduction in alcohol-involved crashes, like an increase in non-alcohol involved crashes. It could also be that the decrease in alcohol-involved crashes is too small to detect within the overall crash rate," he said. Car crashes are the top cause of fatalities among Americans aged 13 to 25. In 2015 alone, about 6.3 million car crashes took place on American roadways, killing more than 35,000 and injuring more than 2.4 million. Roughly one-third of deadly crashes were fueled by alcohol, the researchers said in background notes. The cities chosen for the new study had similar ride-sharing histories. Uber service was launched, discontinued and eventually reinstated. 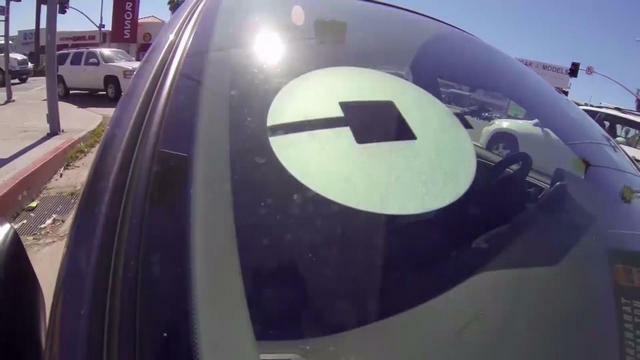 Uber resumption was not linked to a drop in the number of serious crashes. Nor was it linked to a drop in total crash-related injuries, the researchers said. But state department of transportation numbers revealed that the number of alcohol-related crashes did drop with resumption of Uber services in Portland and San Antonio. That number did not fall in Reno. "The differences could be due to a wide range of different factors," said Morrison. "One likely explanation is that local populations use public and private transport differently from city to city, and probably also use ride-sharing services differently from city to city." For example, Portland has many more public transport options than Reno. People might choose to use these alternatives to private vehicles after having one too many, he said. The upshot is "the effects of ride-sharing on crashes will differ from city to city, so cities should consider their own local transport conditions when assessing the likely costs or benefits to public health of ride-sharing," Morrison said. "It's not enough to look at average effects from other locations and assume they will be repeated within a given city," he added. Still, accident-prevention experts applauded the potential protective benefits of ride-sharing. Amy George, a senior vice president of Mothers Against Drunk Driving (MADD), said ride-sharing makes it "easier than ever to make the safe choice to not drink and drive." MADD supports "Uber driver partners as the ultimate designated drivers, and how rideshare apps have removed the excuse to drive drunk," she added. Russ Martin is director of government relations with the Governors Highway Safety Association in Washington, D.C. It's "not surprising that researchers are having trouble drawing conclusive results on the safety impact given the complexity of studying travel behavior and all of the difficult variables to account for," he said. At the same time, Martin said, "it is not surprising that ride-sharing services are making a difference, as we know that consumers are using these services as the designated driver." Ride-sharing, Martin added, "can provide a great alternative to drunk driving, and communities looking to leverage this idea should keep all of these various dynamics in mind when designing programs." The findings were published Oct. 4 in the American Journal of Epidemiology.